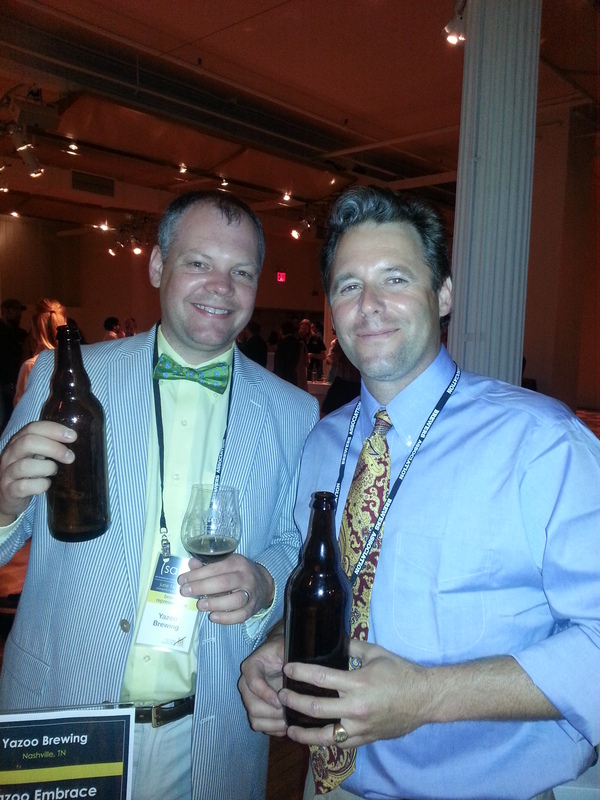 As many of you know I had an awesome opportunity to showcase 2 beers I worked on at Yazoo during SAVOR last weekend in New York. What an incredible experience the weekend turned out to be! Linus and I brought our Brett Rye Saison and Wild Child. I was really impressed with the pairings that Chef Adam Dulye from Monk’s Kettle chose for our beers. 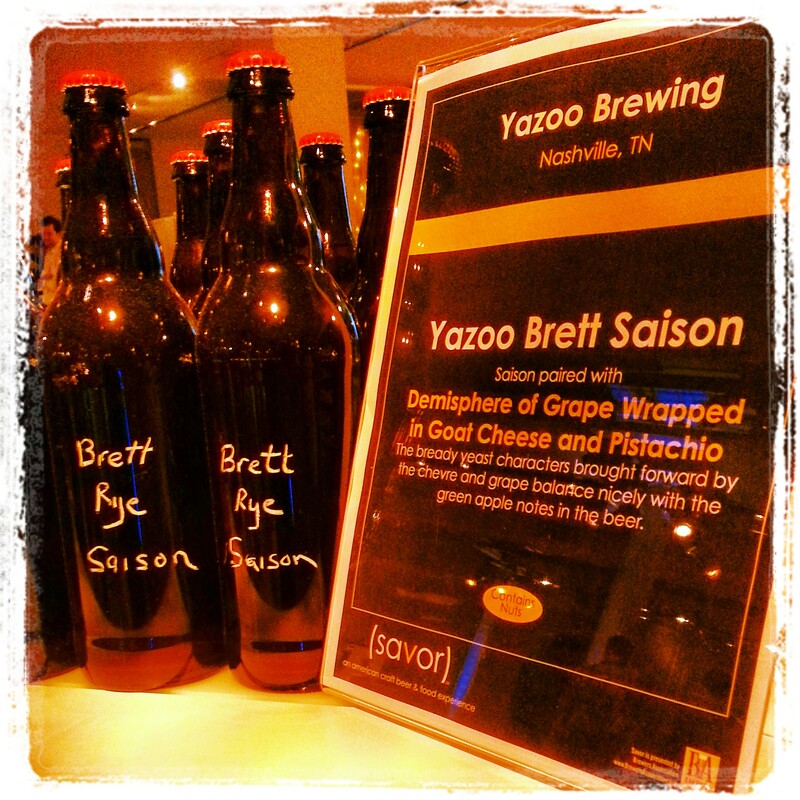 Brett Rye Saison was paired with Demisphere of Grape Wrapped in Goat Cheese and Pistachio. I think I could’ve eaten an entire tray of these things, trust me they were THAT addictive! Our Brett Saison was fermented with 3 strains. We used a Saison strain that I’ve had good luck using at home for about 7 years. It’s banked at a lab now and I believe it will be our Saison strain of choice going forward. We also used 2 strains of Brettanomyces pitched about 2 days into primary fermentation at 80F. I have a dedicated sour/wild stainless conical at the brewery now which is what we fermented this batch in, I plan on doing some barrel treatments next year. 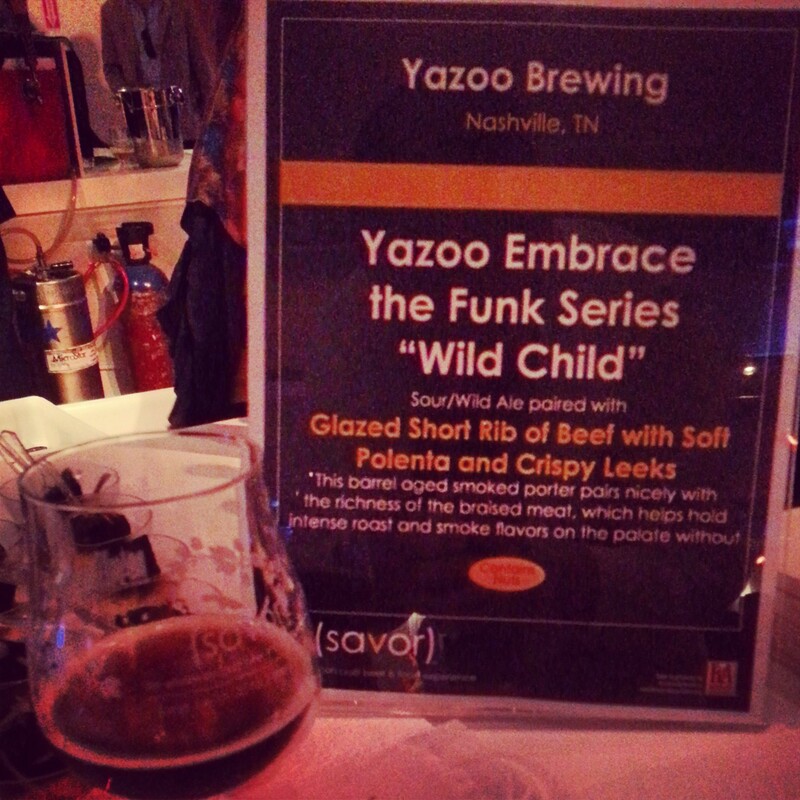 Wild Child was paired with Glazed Short Rib of Beef with Soft Polenta and Crispy Leeks. This was the first beer that Linus and I did for the Embrace The Funk series. It is a blend of 2 barrel aged beers. Last summer we took SUE (which is a Cherrywood Smoked Porter) fermented it with Brettanomyces Lambicus and Cherries in a Consecration barrel Vinnie gave us. When we were happy with the character of the beer the barrel was emptied and we fermented Dos Perros (which is a Mexican/Vienna lager style) fermented it with the same Brett, added some more cherries and put it into the same barrel. These 2 beers were blended at around 30% ETF SUE and 70% ETF Dos Perros. I had a great time in New York actually meeting people who are regular readers of this website and I was humbled by the ones who said they are making better beer because of this website. 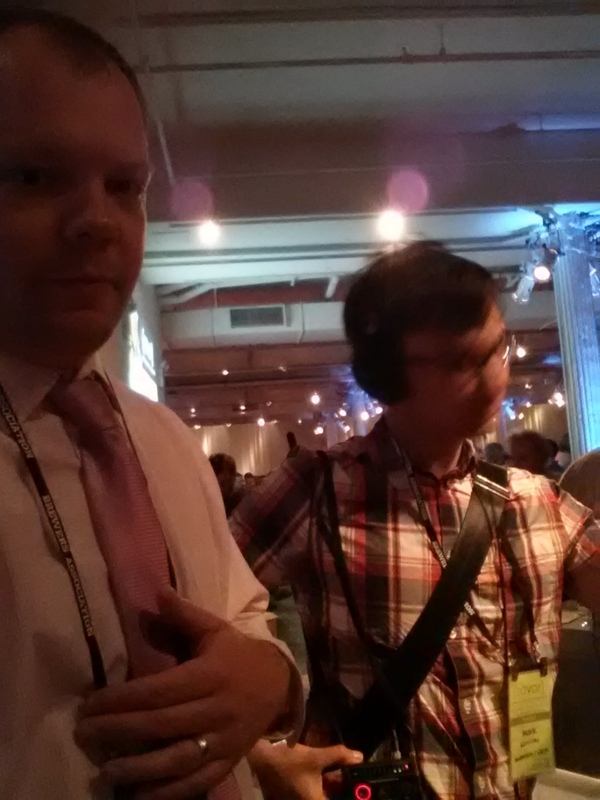 Getting interviewed by NPR for a story they are producing on American Sour Beers. The pic on the right is setting up for the interview. The lady that told me I looked too clean cut to be a brewer, especially a sour brewer! That cracked me up. Tørst . What an awesome draft selection and setup. Everything is served at the perfect temperature and the perfect carbonation level in truly “beer clean” stemware. I can’t say enough good about how nice and knowledgeable the staff is at Tørst. I will never miss a chance to sample beer there, we had Cantillon Vigneronne on draft! Tomme Arthur saying I was “the funk guy”. Having multiple people come back for seconds and thirds of Brett Saison and Wild Child because they liked it so much. All You Can Eat Oyster Bar at the event! Walking around in the Brooklyn Brewery with Linus who interned under Garrett Oliver when Brooklyn Brewery was just a few years old. Then as we were leaving a local who had visited Nashville a few times stopped us when he saw my Yazoo shirt to say how much he liked the beers. Me and Linus serving up the funk! As I said earlier, it was a great time all around. The Brewers Association picked out a great location and I feel like a majority of the beer I tasted was top notch. 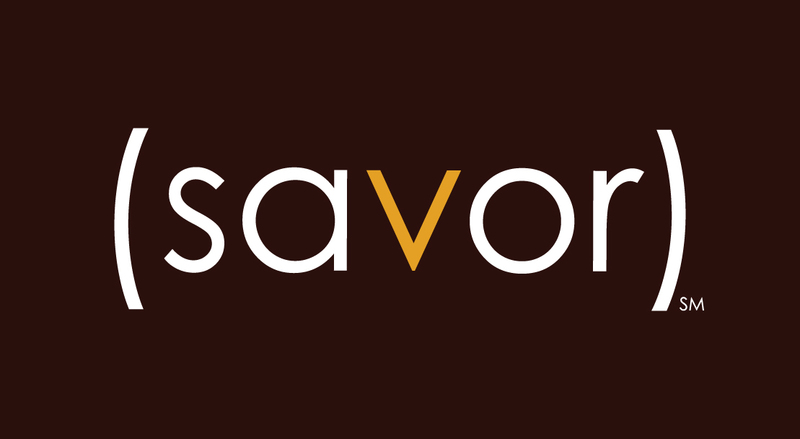 I hope I can make the trip again next year, I think SAVOR returns to Washington, DC in 2014. Now some more technical talk! Here is something my friend Levi over at Funk Factory and I have been working on….A Brettanomyces strain guide that will hopefully be of some help to everyone. We will update and tweak the chart as needed, but we felt like we had enough information to go ahead and publish. Thanks to Al Buck over at East Coast Yeast and the others who wanted to remain in the background on this for their help. The chart is below (if you have an ad blocker enabled it might not show up). Regarding the list–DCY01 is probably Saccharomyces, but I do have two almost-surely Brettanomyces strains I’m calling DCY02 and 03. They were isolated from the Mad Fermentationist’s DCambic. I haven’t written up about them on the blog yet. Thanks for including my rinkydink “lab” on the list! Absolutely. Whenever you know more about DCY2 and 3 lemme know and we will update the list ! Can you tell us anything more about the Brett Anomala – from Adelaide (I assume that means it came from a Coopers beer?) ECY-04 is a brett blend from lambic producers.